Samsung is always known as the top vendors for mobile smartphones, even though it’s also very professional in networking solutions. Since the LTE is now the mainstream in the market, there is very few UE from Samsung. 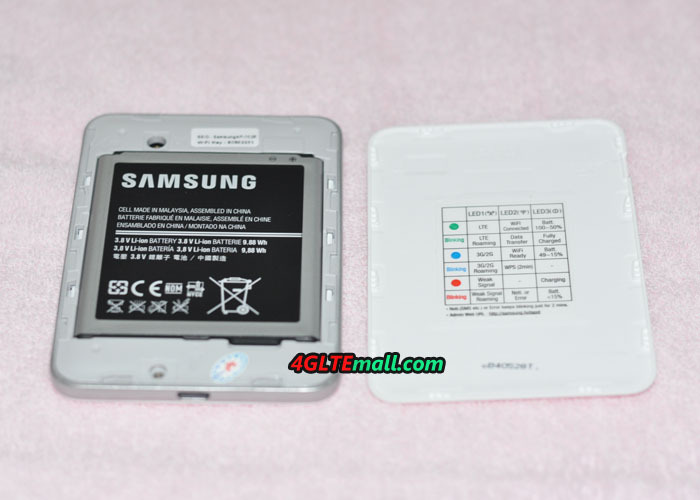 We had introduced the Samsung GT-B3730 and GT-B3740, but we had never introduced a 4G mobile hotspot. 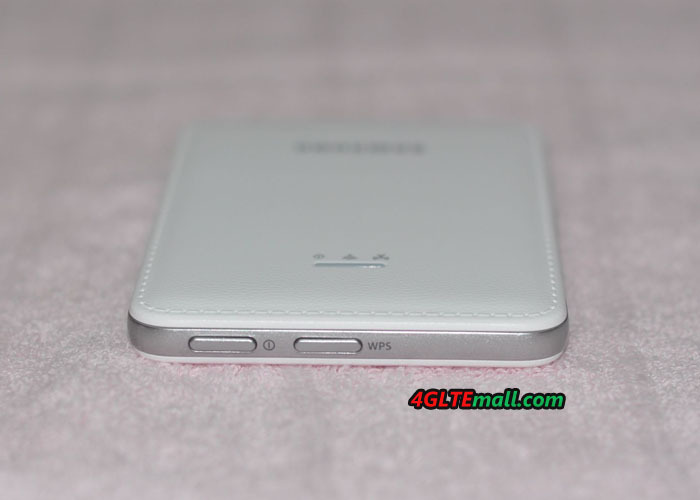 We had ever heard the Samsung GT-B3800 4G pocket router, but we didn’t really get it in hand for test or detail check. 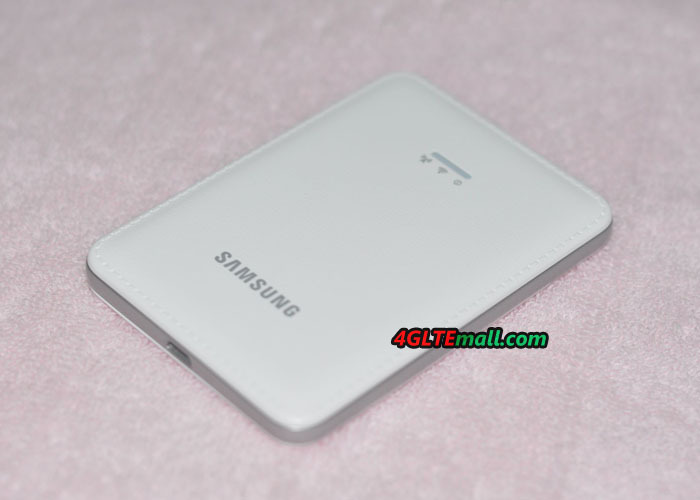 Now we get a new Samsung Mobile 4G router, the model number is SM-V101F. It’s smart and thin, like a mobile smart phone, but only in size of half of a smartphone. 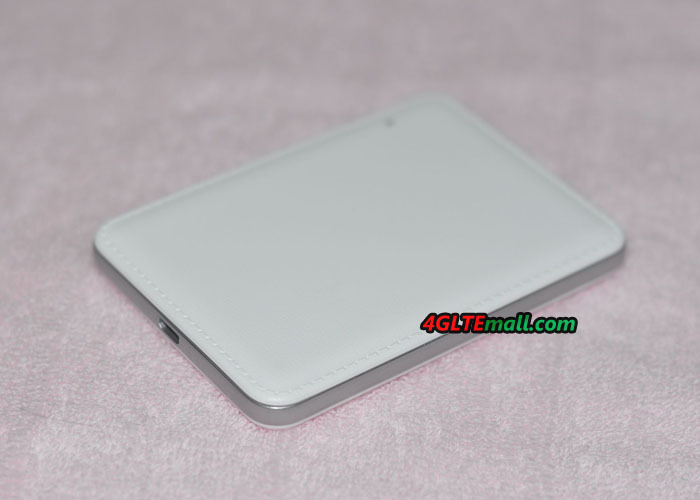 The front and back cover are both in plastic material, from the appearance, you canot imagine it’s a mobile hotspot. On the front, there are three LED indicators in a line, the first LED indicates the network signal strength, the second one indicates the WIFI status, and the third one shows the battery status. The Samsung logo is printed below the LEDs. At the top side body the body, the power button and WPS button are listed. The bottom side has a USB port for power charging. Open the back cover, there is a stick which shows the model number Samsung SM-V101F, FCC ID, IMEI and S/N number. on the upper side of the stick, there is a hole for external antenna. Beside the antenna hole, there is a little stick which shows the SSID and WiFi key. The SIM card slot is at below side of the stick. The Samsung SM-V101F uses micro-SIM card. The battery is removable and battery model is B650AE with capacity of 2600mAh. After Sim card and battery are inserted to the SM-V101F, press the power button and it can work now. 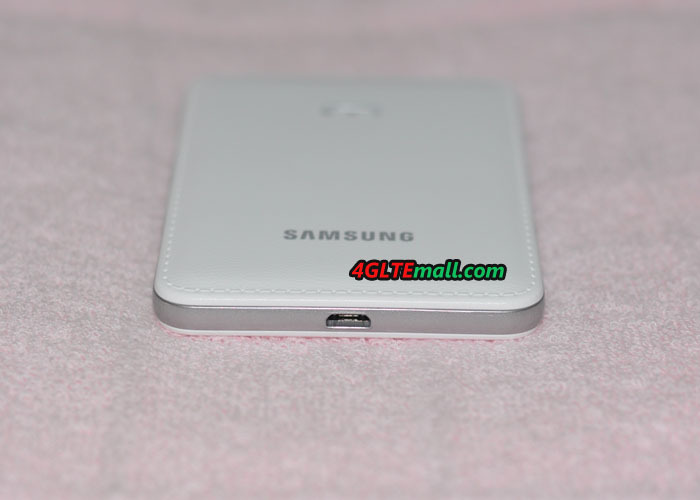 Usually, the Samsung SM-V101F will automatically connect to the wireless network from SIM card. But if the SM-V101F can’t detect the sim card, you need setup manually via web browser. User can log in the 192.168.1.1 to setup the APN and then connect. After log in the web browser, user can choose the preferred network in the options of LTE/WCDMA/GSM, GSM/WCDMA, WCDMA only, GSM only. And user can reset the admin password and reset the device to factory default. The SM-V101F can receive and send message. The language could also be chosen in English, Germany, French, Italian, Polish, Czech. User can also do the Mac filtering, DHCP server, WiFi name and password, broadcast channel settings. User can see the data usage information, connected devices. In summary, the Samsung SM-V101F is a slim pocket router with cool design. It would be great partner for Samsung mobile smartphones.